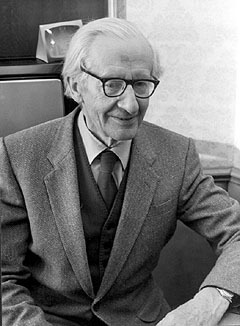 James Edward Meade was a British economist. Educated at Oxford and Cambridge, Meade served as chief economist at the League of Nations from 1938 to 1940. During and after the war he held high posts in Government service. He has taught at London and Oxford and was Professor of Political Economy at Cambridge from 1957- 1968. Professor Meade’s greatest contribution has been to the theory of international trade. For his pioneering work in this area he shared the 1977 Nobel Prize with the Swedish Professor Bertil Ohlin. Meade’s best known publication is The Theory of International Economic Policy published in two volumes in 1951 and 1955; others include Planning and the Price Mechanism (1948) and The Structure and Reform of Direct Taxation (1977).